I eliminated Vietnam because I thought it’d be too complicated to plan in a relatively short amount of time. Belize and Costa Rica were good options but I felt like after spending this past month in Costa Rica, I should do something a little different. So that left Colombia and Spain. It was really a coin flip that was ultimately decided by two tiebreakers: 1. Award flight availability and 2. The fact that I have to be in Vienna in April. So I’m heading to Spain!! 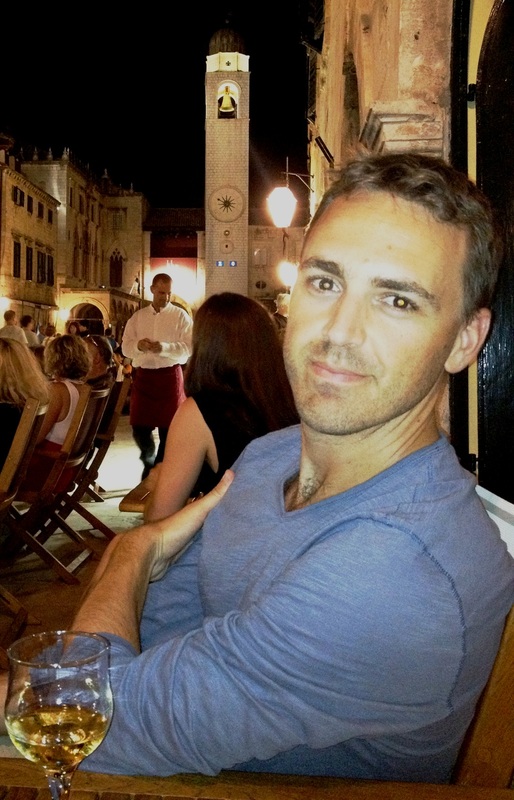 I’ve been to Spain a few times and Barcelona is one of my all-time favorites. After writing my post last week, I thought about going back… but then I remembered that weather is an important criterion. With climate change in full effect, it’s hard to predict the weather during a trip but monthly averages in March are still quite cool in Barcelona. Alternatively, I thought about northern Spain but the weather there also isn’t great. So I found four cities that have good spring weather and that I know little about: Madrid, Sevilla, Cordoba, and Valencia. I’ve been to Madrid once for a conference and to Sevilla for a couple of nights on a previous trip but can’t say I’m overly familiar with either. I’ve never been to Cordoba or Valencia. Now that I had a framework in place, it was time to see how I was going to pay for this. As mentioned in my Cape Town article, I was refunded all the miles for my flight to Cape Town. I had used 67,500 American Airlines miles (75k – 10% for having the AAviator Red credit card) to fly Qatar Airways from Philly to Cape Town. I wanted to fly business class since I had the miles and just to treat myself but I found availability in economy on a direct flight from Philadelphia to Madrid for only 22,500 miles (-10% for having that card again). So for around 20,000 miles, I’ll fly to Europe… not bad. And I’ll still have a bunch of miles left over to travel again later. While miles can help you travel in luxury, there are also great values to be had. 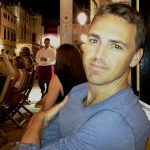 I try to be opportunistic with using miles to fly business class or to stay in nicer hotels but at the end of the day, I’m pursuing the best value. 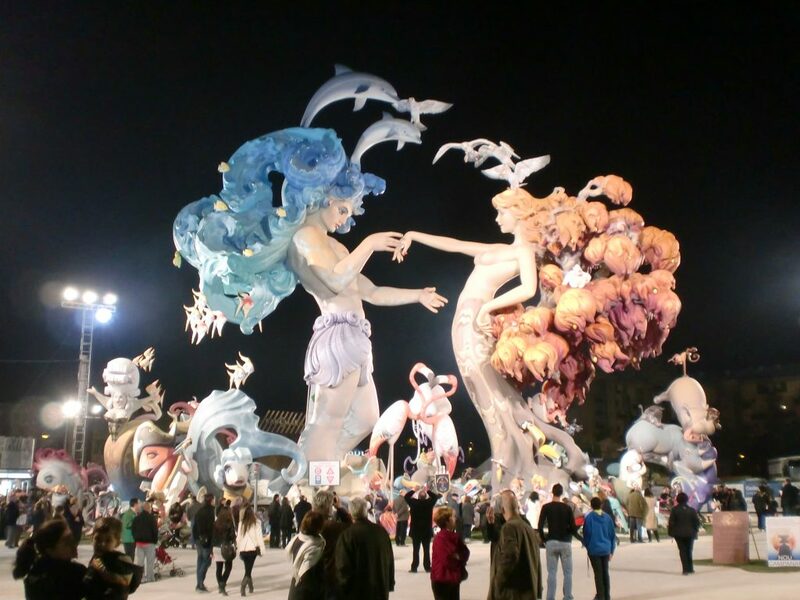 In reading about Spain in March, one of the things I kept reading about was the Las Fallas festival in Valencia in the middle of March. The videos look incredible so I worked around that. Obviously, hotels in Valencia during the festival are quite expensive but I found a Marriott hotel bookable with 10,000 points per night. Plus, when you book a 5-night stay using Marriott points, you get the 5th night free. So I booked 5 nights in Valencia for 40,000 points. This is a great value since the hotel was asking over US$200/night during this time! 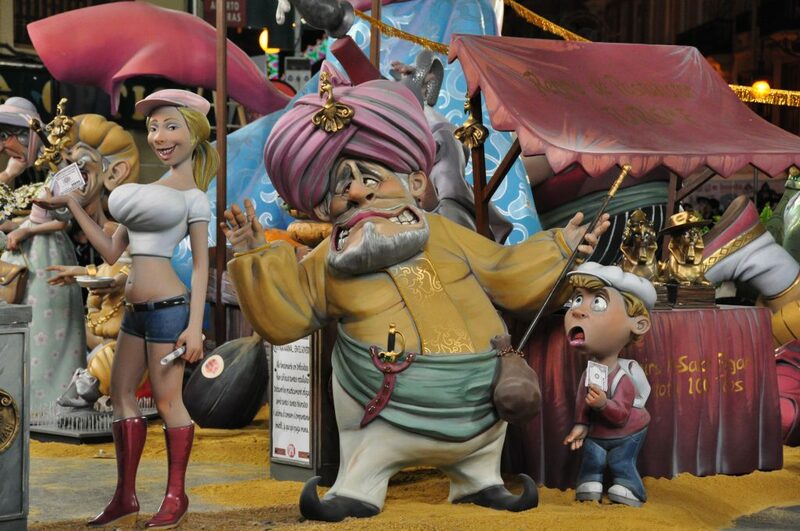 Las Fallas in Valencia. Residents build elaborate “ninots” symbolizing something significant from the previous year. … and then they’re set on fire!! In an earlier post, I wrote about the benefit of the IHG Accelerate program. Since I had to cancel my trip to Cape Town, I wanted to make sure I still took advantage of my ability to earn a relatively easy 30,000 IHG points by: 1. Staying once at an IHG property (2,000 points), 2. Booking a bonus point package rate (6,600 points), 3. Paying for one stay with my IHG credit card (1,500 points), and 4. Completing all three previous goals (19,900 points). 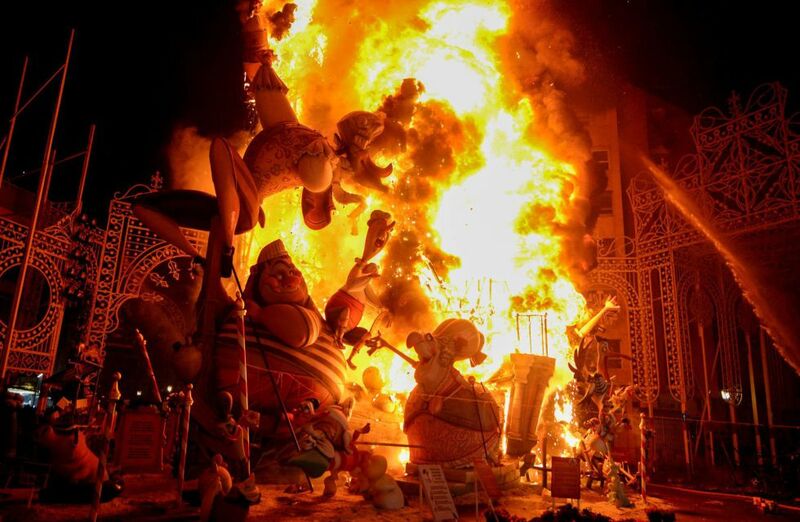 I found an IHG property with a $90/night rate the day before the Las Fallas festival starts. IHG points aren’t the most valuable currency out there but when you factor in the bonus points, the points I earn from the stay (including the extra points from reserving the Bonus Point Package), and the points from spending on my IHG credit card, I’ll be earning over $230 worth of IHG points for the night. Booked!! 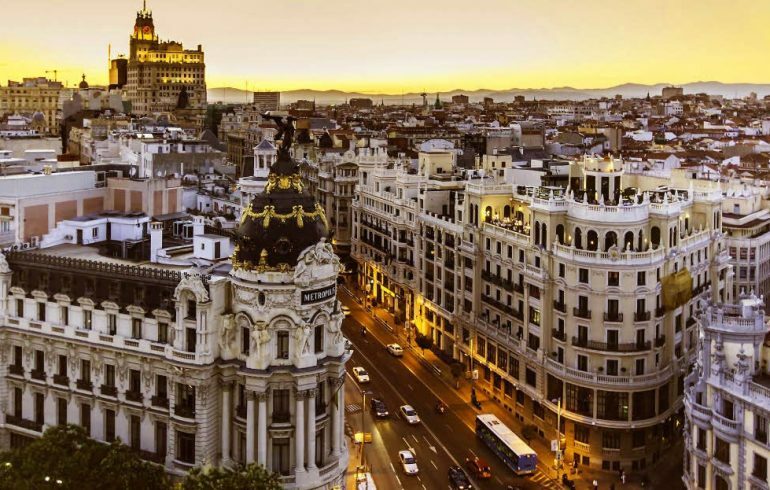 These two cities are popular tourist destinations but are definitely less well known than some of the other famous Spanish cities. As such, the presence of the big chain hotels properties here is somewhat limited. However, if you hold the Citi Prestige credit card, you can book almost any hotel through the Citi ThankYou points portal and get the 4th night free on any reservation. And at this point, you are able to pay with points or cash. Generally, the points are not a great value as you get around 1.25 cents per point in value once the 4th night is factored in but I have close to 300,000 Thank You points so rather than pay cash, which presumably I’ll need while I travel through Spain, I decided to use points. The fun part of this is that you can book some of the smaller boutique hotels which oftentimes is more fun than staying in a traditional chain hotel property. So I went on a mission to find some of the more highly-rated boutique hotels in each city. The benefit of paying with points is that since I’m traveling in March, the rates are considerably lower. When you book an award stay with the chain hotels, they don’t adjust downward, only upward during the peak season. In this case, I was able to book 14 nights (8 in Sevilla and 6 in Cordoba) for 120,000 points in 3 very highly-rated boutique hotels right in the city center! Without the Citi Prestige card, this would’ve cost me about $2,000 in cash! Not bad. 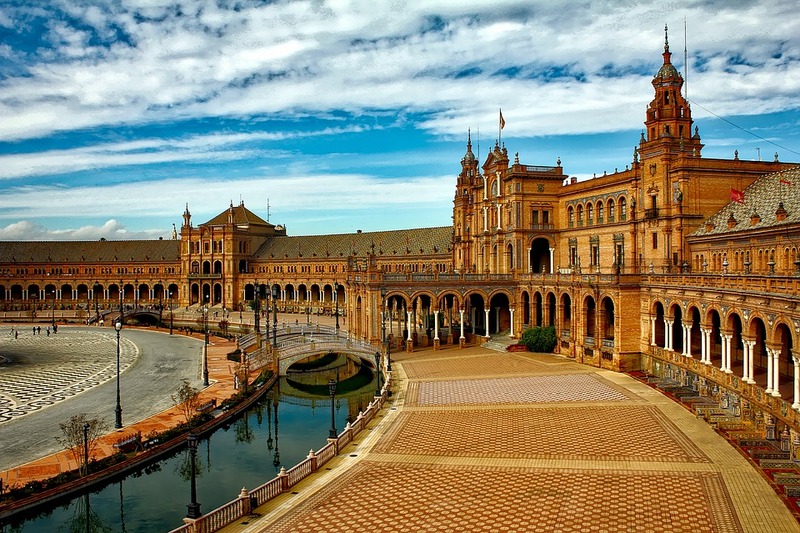 Sevilla’s Plaza de España. Excited to wander through this park! One of the things I set out to do at the beginning of all of this was create a more immersive experience by spending more time in one place rather than bouncing from city to city. I’m violating that rule a little bit in the first 3 weeks in Spain (though I’m still spending at least 6 days in each of the previous cities which isn’t bad). Again, I’d been to Madrid once for work and had a good time though I don’t necessarily know that I got a great feel for the city. So I decided I’d spend a couple of weeks here. Compared to Sevilla, Cordoba, and Valencia, there are an abundance of hotels available from the big chain properties, especially from Marriott. Marriott has some very high-end luxury properties right in the middle of the city but as you get further away from the heart of the city, things get more affordable. Plus, I love to walk around cities so being a mile or two outside the city center doesn’t bother me at all. Madrid also has a great metro system so I found a hotel close to a metro station that is 1.1 miles away from the heart of the city. The hotel was 15,000 points per night but, again, every 5th night is free on award stays with Marriott. So I was able to book 15 nights for 180,000 points. A cash stay at this hotel would’ve cost close to $2,000 plus taxes and fees. Altogether, I’m staying 35 nights in Spain and paying just $90 for the one IHG night that will earn me $230 worth of points. Amazingly, I’m staying 3 more nights than I had planned to stay in Cape Town and actually using fewer points. My totals for Cape Town were $120 for the IHG night, 250,000 Marriott points, and 160,000 Hilton points. In Spain, I’ll spend $90 for the IHG night, 220,000 Marriott points, and 150,000 Citi ThankYou points. The Citi ThankYou points are worth more than the Hilton points but I still feel very happy that I was able to piece this together without spending much cash out of pocket. Paid with cash, this trip is easily over $6,000!! Plus, I saved almost 50,000 American Airlines miles for my flight out of Philly and got refunded my 55,000 Avianca miles (for $200) for my flight from Cape Town to Vienna. The flight from Madrid to Vienna is only $110. I feel sad that I won’t see Cape Town this year… but I couldn’t be more excited to head back to Spain!